Here’s where you can find a range of online resources, charities and information to help you when you’re feeling a little stuck. We know it can be overwhelming to initially reach out, so here’s a comprehensive look at the support that’s available. We’ll give a quick overview of the type of support out there, to make it easier for you to think about what would benefit you the most. These are charities that cover the whole of the UK. They’re a reliable base to start reaching out as their services are often free and many provide 24 hour support. Cruse is one of the largest bereavement charities in the UK and its local services offer face-to-face, email, web and telephone support. Their local offices are run by volunteers and getting an appointment may take a few more days than you were expecting, but they’ll always get back to you. Cruse also has a website for younger people and has its own charity in Scotland. Bereavement UK are an independent charity that offers face-to-face support, as well as help on the phone or though email, if that’s more convenient. With a focus on cancer bereavement, The Loss Foundation has a useful directory to help you find local support, groups and online communities. Talking therapies are often helpful if you’re loss becomes part of a larger grapple with depression and anxiety. The British Association for Counselling & Psychotherapy (BACP) has a good introduction on what therapy or counselling will involve, and where to find support locally. The Counselling Directory is also a good resource to find bereavement counselling, specifically, or more general help and outlines the different forms of therapy available. As we know, the web can be a little unreliable when it comes to facts. But, it can also be a fantastically accessible resource when you look in the right places. On the Bereavement Advice Centre website you can find a large amount of information on the practical side of going through bereavement. Age UK is geared towards those who are older and who would be experiencing bereavement and their own remaining years. Think About Your Life is a resource to do just that – its free materials help you to reflect on and jot down ideas for a new in your life. Where can I get bereavement support? Can you take bereavement leave? The government has a few services to help you financially when your partner dies or when you need help with utility bills and extra income into old age. The bereavement benefits include monthly payments and one off lump sums, including the Bereavement Allowance (what used to be the Widow’s Pension) as well as help with household utilities. Helplines are telephone support services that run 24 hours a day. They’re confidential and are a good option if you want non-judgmental suggestions quickly. 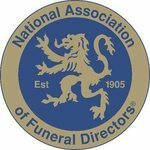 The Na tional Association of Funeral Directors (NAFD) represents more than 3,700 UK funeral homes nationwide, UK and overseas – if you see this logo on a website, you’ll know you’re in safe hands. The Association of Green Funeral Directors was created in order to make sure green funeral practices stand up to a code of conduct. Consult them if you have eco-minded funeral questions. The Fair Funerals campaign is run by anti-poverty charity Quaker Social Action to tackle the root causes of funeral poverty. Dignity in Dying is a national movement and membership organisation campaigning to change the debate surrounding assisted dying for terminally ill, mentally competent adults. Compassion in Dying is the sister of Dignity in Dying, promoting planning ahead for the kind of support people want at the end of their lives. My Death My Decision is a right-to-die campaign that wants to see a more compassionate approach to dying in the UK, notably by giving people the legal right to a medically-assisted death, regardless of whether they’ve received a terminal illness diagnosis. 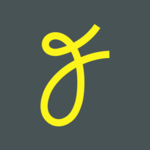 Farewill make creating a Will as simple as answering a few questions in under 15 minutes. Law Donut is a one-stop shop for all things legal, including Wills, condensed into digestible articles. They also have a helpful glossary of all the legal terms used in Probate law. Will Aid is a charity Will writing scheme which involves the legal profession and nine of the UK’s charities. Every November, participating solicitors waive their fee for writing a basic Will, and charities receive much-needed donations. Death Cafe is an opportunity to talk about death and grief openly, with a cup of tea or cocktail. 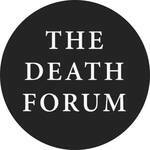 Visit the website to find your nearest Death Cafe. The Death Forum is interested in the impact of technology and the digital age on our relationship with death, putting on interesting events and talks throughout the year. The Centre for Death and Society, University of Bath looks into the experiences of people facing death and bereavement and how this is influenced by culture, politics and economics. 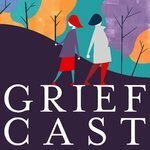 Griefcast is a podcast that invites comedians to talk about death; both moving and wonderfully funny. 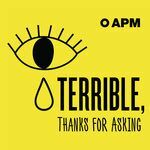 Terrible, Thanks For Asking is another podcast about losing close ones, talking honestly and hilariously about grief.